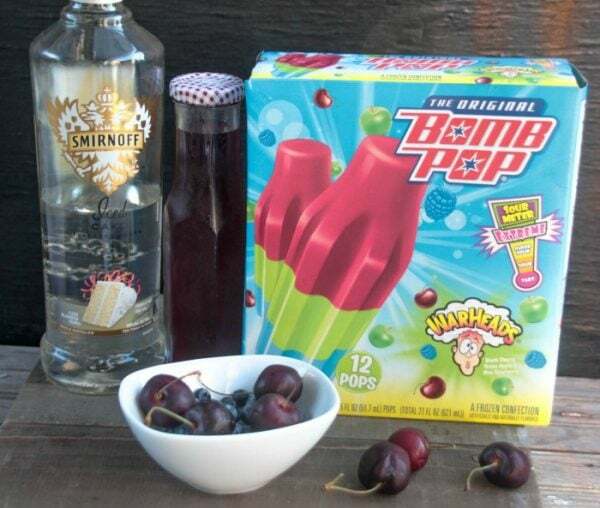 A Bomb Pop cocktail is like the adult equivalent of hearing the ice cream truck as a child. Pure happiness. The popsicle goodness mixed into a slushy cocktail is a win for summer. 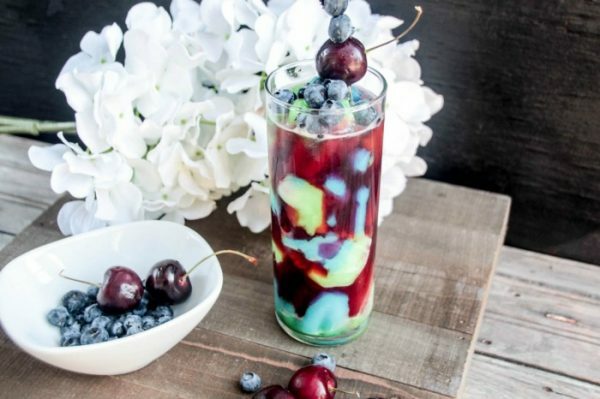 Ideal for the fourth of July, but still spectacular all summer long, this mixed drink will be a crowd-pleaser at gatherings. This post is intended for adults ages 21+ who know how to drink responsibly. 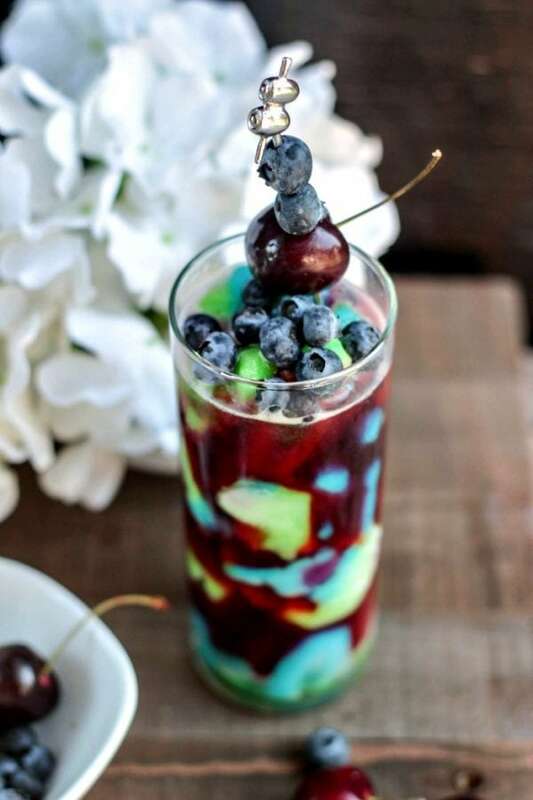 Slushy mixed drinks have the way to transform your backyard into a tropical getaway. At least for us, I know a Bomb Pop cocktail by the pool makes me one happy gal. The drink recipe is easy enough to make on any weekend but looks pretty enough to impress guests on special occasions. 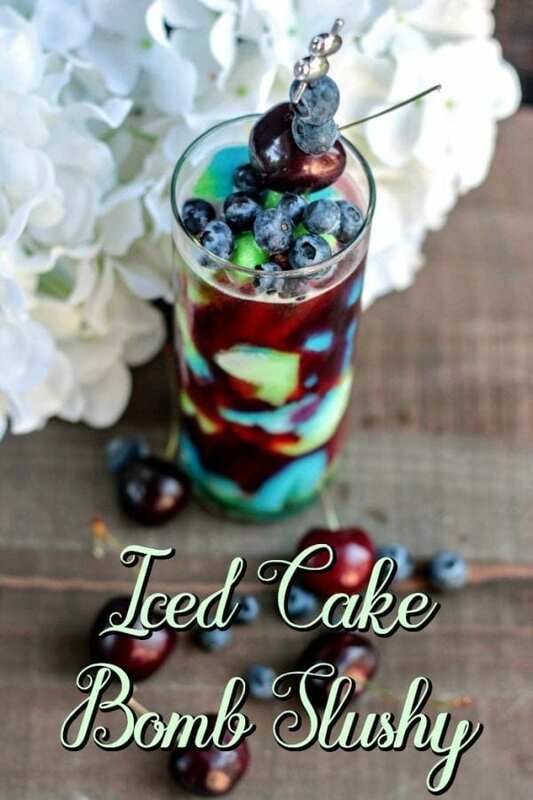 Into a Mojito glass combine, Iced Cake vodka, and cherry simple syrup. Allow Bomb Pops to sit at room temperature then using a small knife, scrape 5 Bomb Pops from the wood sticks and into the glass. Garnish with a cocktail stick with a few blueberries and a cherry. Drink responsibly, and never drink and drive. Also, never ever drink and firework! 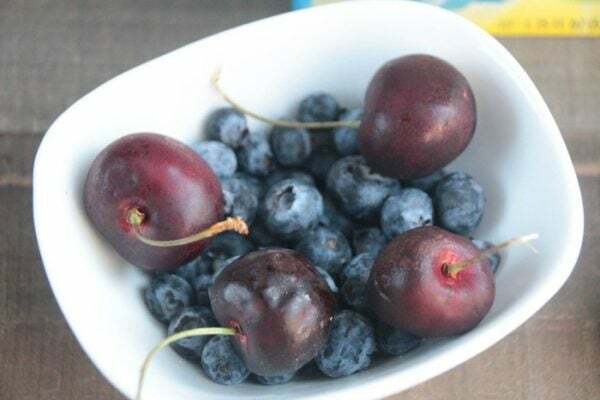 Make a cherry simple syrup by adding 2 cups of water and 2 cups of sugar in a sauce pot, bring the mixture to a boil over medium-high heat. Add ten (10) fresh and pitted cherries. Use a muddler or a fork to smash the fruit to release the juice. Let the mixture cook for another 5 minutes then remove from heat. Cover the pot with a lid and allow the cherry simple syrup to steep for 12 – 15 minutes. Strain the mixture through fine mesh sieve into a Mason jar and refrigerate until ready to use. 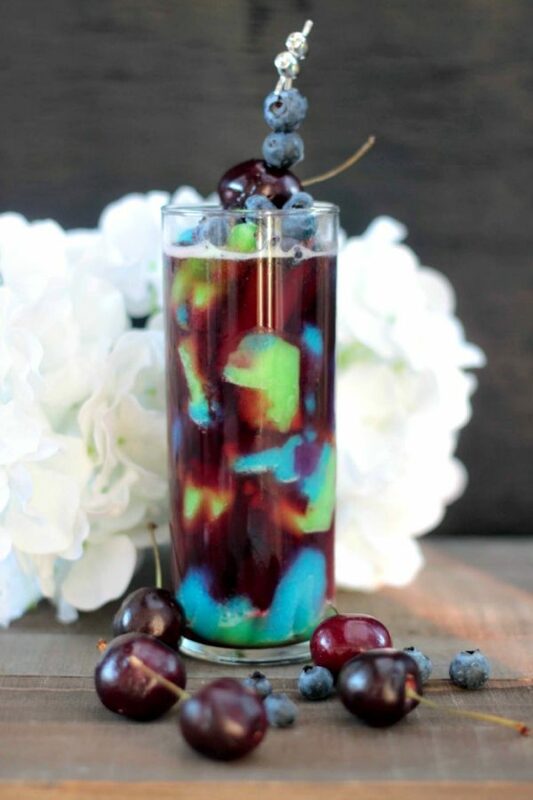 Have you had a Bomb Pop cocktail yet? If so, how did you make it? That Bomb Pop cocktail is the bomb-diggity! I love the flavors, and I think the colors are awesome. I remember eating Bomb Pops when I was a child. I haven’t hand one in many years. That’s got to be one of the top 5 cocktails I’ve ever seen. The great thing about this is that the flavors are so good, AND it looks great. It’s the perfect summer beverage for adults. This looks amazingly yummy!! I never would have mixed a bomb pop with a drink! But I have been missing out, I will have to make this soon! I think I need to make this weekend!! 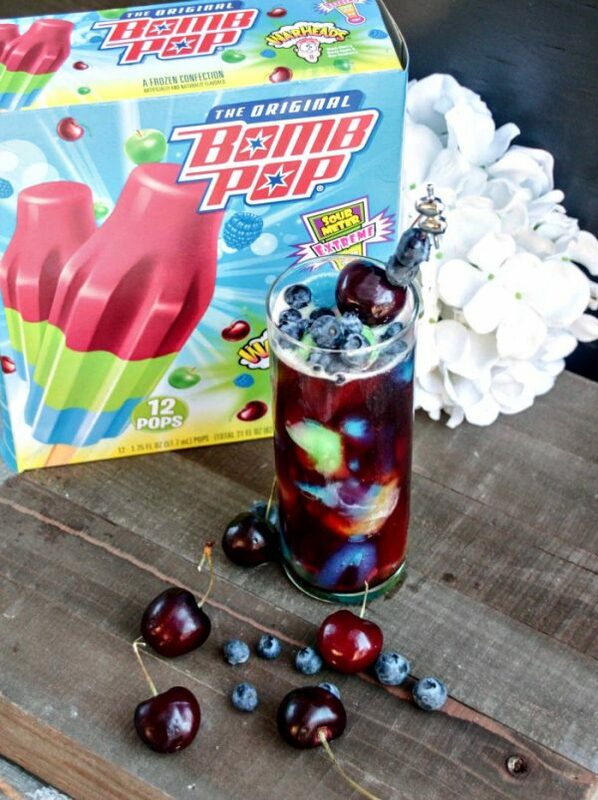 This sounds like a delicious slushy treat to beat the heat, love the idea of using a bomb pop! There is a lot going on in this drink. Between the frozen pop, the fruit and the alcohol, there is something for everyone. Thanks so much for joining us at Delicious Dishes! 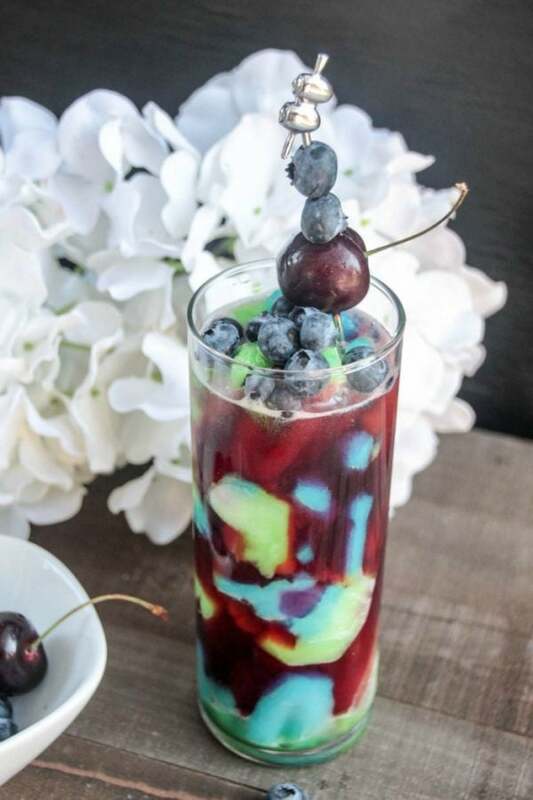 We love your Bomb Pop Cocktail Iced Cake Slushy recipe and hope you’ll join us again this week! What a unique recipe! This would be a wonderful drink/dessert for a bachelorette party! This sounds like THE perfect drink for summer parties! Thanks for linking up with Merry Monday! This is so pretty and I bet pretty darn tasty too! Now this looks fun! I like all the colors, and how easy it looks to make. I am not much of a drinker and I bet this could be made with or without alcohol. I love everything in it.